Click here to see a trailer for Fantastic Beasts: The Crimes of Grindelwald. A healthy dose of magical spells and a dash of misunderstood beasts will keep you hooked to this incredible little universe that you will re-live in your imagination forever. This PG-13 film has all the action and adventure your family will love! 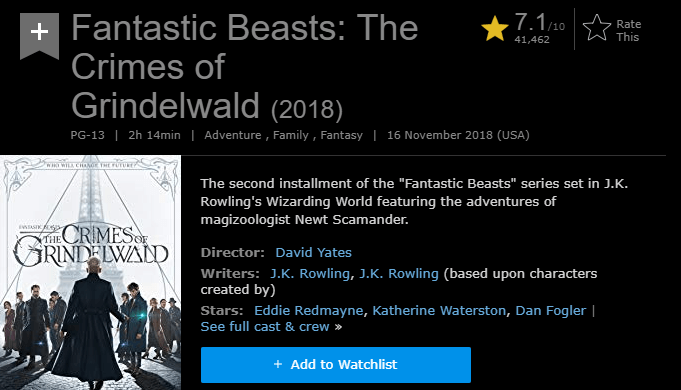 41,462 IMDb users have given Fantastic Beasts: The Crimes of Grindelwald a weighted average vote of 7.1 / 10 stars. Users say the cast is spectacular, especially Jude Law, Eddie Redmayne, Dan Fogler, and Callum Turner. The young and charismatic Dumbledore played by Jude Law is by far the user’s favorite. Law added so much more depth to the character while staying true to the Dumbledore portrayed in Harry Potter. 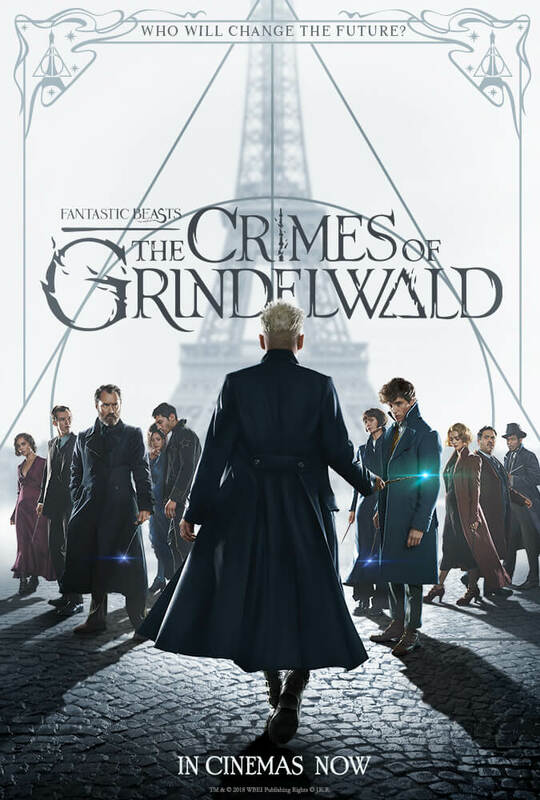 Critics on Rotten Tomatoes rated Fantastic Beasts: The Crimes of Grindelwald at a 40% on the Tomatometer. Critics say with too much happening all at once and not enough focus on building characters we actually care about, the film fails to leave any sense of an impact. The critics also think the Crimes of Grindelwald feels hollow and disconnected, like it could have been made by anyone with a rudimentary knowledge of Rowling’s wizarding world. 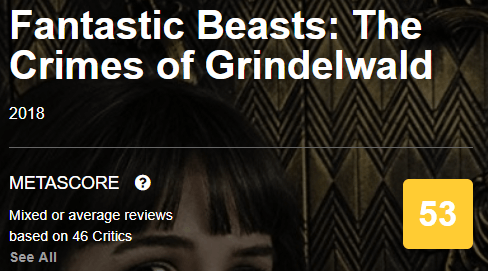 Critics on Metacritic rated Fantastic Beasts: The Crimes of Grindelwald at a 53 on the Metascore board. This mixed Metascore is based on 17 positive reviews, 22 mixed reviews, and 7 negative. Critics say while the performances are solid and you do get a few touching moments, the film sinks under the weight of too many intersecting story lines and too many loud and fiery and surprisingly mediocre action sequences. Click here to see a trailer for The Grinch. 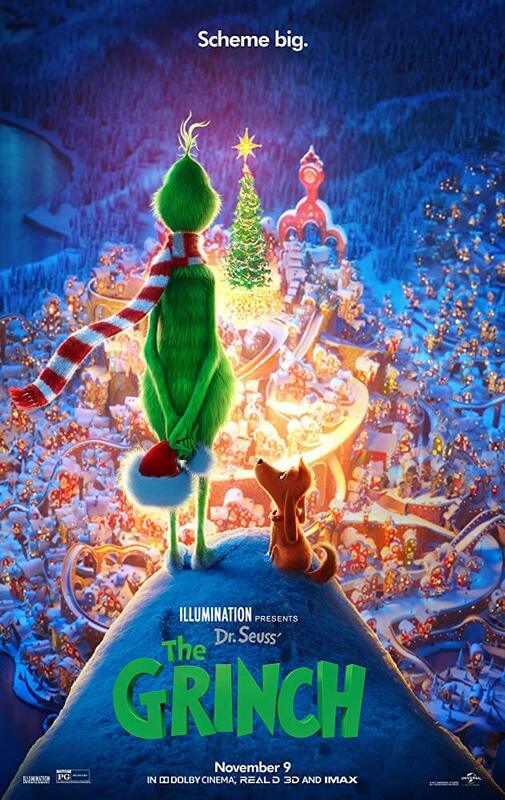 If you are a fan of the Grinch, this movie will not disappoint and it’s especially great for the kids! It follows along the typical Grinch story line but with some new, exciting characters. Overall, The Grinch is a great family movie that delivers a great message in the end. 5,095 IMDb users have given The Grinch a weighted average vote of 6.3 / 10 stars. Users say this movie is one of the most adorable and fun feel-good animated movies that has come out in a long time. Benedict Cumberbatch “kills it” as the Grinch and, all the gadgets and grandeur of the grinches holiday heist scene is so creative. Critics on Rotten Tomaotes rated The Grinch at a 56% on the Tomatometer. Critics say this film is best for kids and adults who just can’t handle the angry, diabolical monster of films past. Those expecting Cumberbatch to add a little “Dr. Strange to his take on Dr. Seuss” will be sorely disappointed as this animated take on the Grinch keeps it light for the kids. 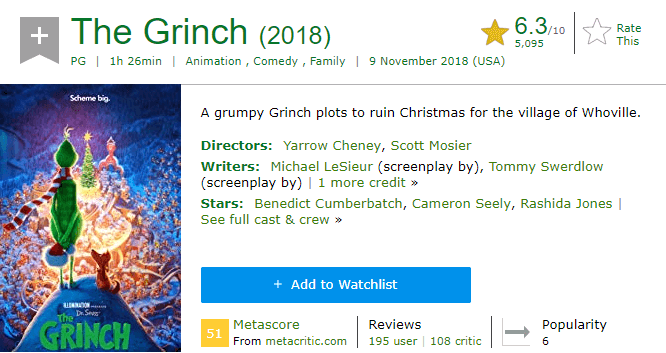 Critics on Metacritic rated The Grinch at a 51 on the Metascore board. This mixed Metascore is based on 12 positive reviews, 14 mixed reviews, and 6 negative reviews. A few critics comments that while The Grinch never rises to the level of a modern Christmas classic, it’s an enjoyable enough holiday diversion with a core message that’s as lovely today as it was when Dr. Seuss first wrote it. Click here to see a trailer for Widows. Widows has a lot going on in its two-hour run time and there some plot twists that make it feel a little incoherent but does very little to impact the film’s near perfect quality. Widows is one of the most thrilling films of this year and still has a very compelling and ambitious story that McQueen and Flynn have put on screen. Widows should definitely be added to your Must Watch list! 7,754 IMDb users have given Widows a weighted average vote of 7.5 / 10 stars. Users say Widows is an engaging movie with hard hitting drama and strong acting from all of the cast. 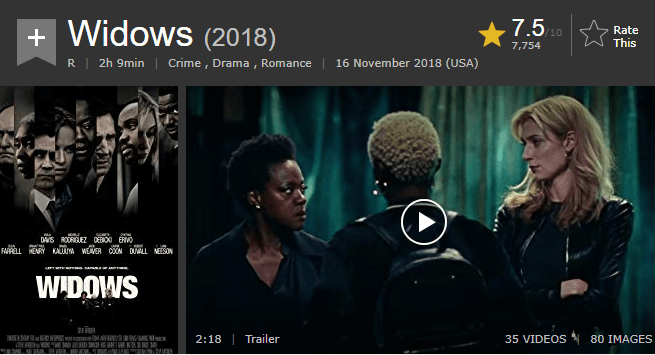 Although Widows is a heist story, it focuses more on the other elements involved – politics, corruption, greed, revenge and empowerment for women and black Americans. It’s unhurried in its delivery, and the style works really well as it doesn’t detract from the story. Critics on Rotten Tomatoes rated Widows at a 90% on the Tomatometer. 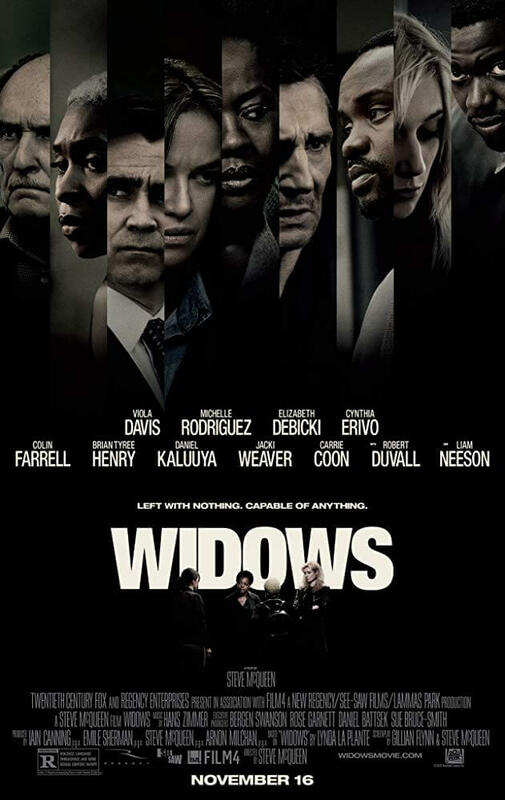 Critics say Widows benefits significantly from a very strong script that is rich in theme and character and features sharp and surprisingly funny dialogue. This film is gritty and cliche-prone, which makes the heist genre feel fresh again. Critics on Metacritics rated Widows at an 84 on the Metascore board. This amazing Metascore is based on 52 positive reviews, 4 mixed reviews, and 0 negative reviews. Critics thoroughly appreciate how the movie engages with topics as complex as sexism, police brutality, and interracial marriage, but it still delivers on the car chases and gun-play.